GDPR compliance requires a holistic approach across the entire enterprise because the PII data resides across many organizational silos, including IT & Physical Access Control Systems. Attend this webinar to learn how many fortune 500s, including global customers in financial / banking / telecommunication sectors are proactively addressing GDPR compliance with a high degree of automation. NCCoE, a part of the NIST, is a public-private partnership and a collaborative hub where industry organizations and government agencies work together to address businesses’ most pressing security issues by leveraging commercially available technologies and publishing NIST Special Publication 1800 series practice guides that align with the NIST Cybersecurity Framework and other standards. NCCoE will present NIST SP 1800-9, “Access Rights Management for the Financial Services Sector,” which leveraged the AlertEnterprise Converged Identity & Access Management (C-IdAM) COTS platform. 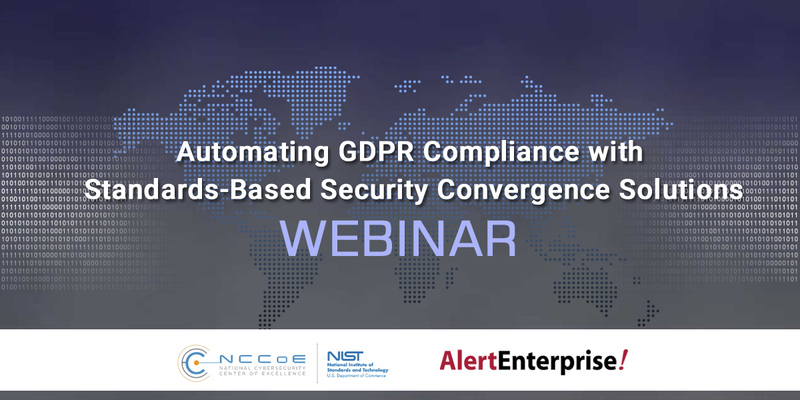 AlertEnterprise will discuss how this C-IdAM platform is helping global fortune 500 organizations address GDPR compliance, improve cybersecurity and insider threat postures across IT, Physical Security and OT silos.